Getting rid of your acne related spots doesn’t necessarily mean you end up with perfect skin. For some of us, after our acne has cleared up, we’re left with scars. After you’ve dealt with the spots, you might need some extra treatment if you want to remove the scars. Acne is one of the most common skin conditions in the United States. Around 50 million of us have acne of some kind. Of those 50 million, 15% have some form of acne bad enough that it results in scarring on the skin. Ice Pick – Ice pick scars are considered to be a normal type of acne scarring. This type of scarring is characterized by deep pits that are usually less than 2 mm across. They extend into the skin, giving the surface appearance of having been punctured by an ice pick. Boxcar – Boxcar scars are also considered to be a normal type of scarring. They are angular scars with sharp vertical edges, and resemble Chicken Pox scars. Boxcar scars are often found on the cheeks or temples and may be shallow or deep. Rolling – Rolling scars are usually caused by damage under the surface of the skin, and will often cause the outer skin surface to look wave-like. Rolling scars often appear wide and shallow. Hypertrophic – Hypertrophic scars are raised and lumpy. They’re commonly on the back and chest, but can also appear on the neck and face. They are often the result of more severe active lesions, such as cysts and nodules. While acne doesn’t always lead to scarring, it is one the possible complications. Acne scars are most likely to for if you have severe acne. Various types of spots such as nodules and nodules, are located deeper in the skin. These are more likely to cause permanent damage. Scarring is also more likely to form if the spots become infected. This can often happen after they have burst. Acne scar treatment cost depends on several different factors. These can include the clinic you choose and the type of therapy your dermatologist recommends. Not all acne related treatments are covered by health insurance as some are considered cosmetic procedures. Make sure you check your policy before starting a treatment. Although the cost of acne scar removal can vary greatly from clinic to clinic, it can be worth it in order to free yourself from low self-esteem. 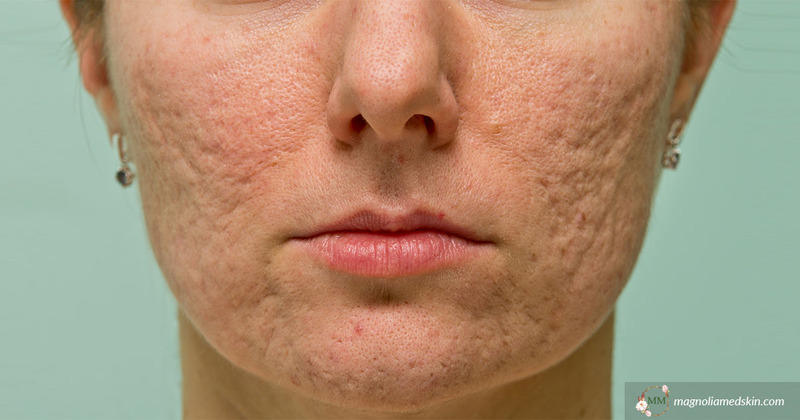 Acne scars can have a big impact on our mood and confidence. So while acne scar removal may be considered a cosmetic treatment it is really about much more than just your appearance. If you’re annoyed with your acne scars making you look and feel older than you are, call us today at (201) 600-3335 or request a complementary consultation to discuss which treatment is right for you and how we can help.